Starting today, whether you're craving a Big Mac or Filet O' Fish, at participating McDonald's, you can buy one sandwich and get a second sandwich for $1 when you order with the McDonald's app for iOS or Android. (Some exclusions do apply, so pay attention to avoid disappointment.) You can get your gobble on with this deal until November 30. Hit Firehouse Subs, buy any medium or large sub with chips and a drink, and get a medium sub for free . That'll save you up to $6 on lunch for two (and you don't even have to get the same sandwich)! Click here to find a restaurant near you. McAlister's Deli is serving up four sandwich quarters for $4. You can save about $4 on this deal, plus mix and match your favorite sandwich types, thereby enhancing your dining experience. Click here to find the McAlister's in your neighborhood. If it's National Sandwich Day, it's Scholtsky's! Buy a medium sandwich and get a second sandwich for free, meaning you just bought dinner for two (or two lunches for you!) and saved about $9 in the process. Not sure where the nearest store is? Click here to find out. 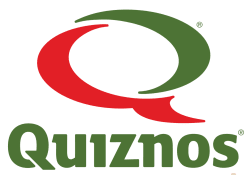 Do the National Sandwich Day thing by going to Quiznos and getting any 8" Sub for $5. Save about $2 per sub and feed the kids on the cheap! (Maybe throw in a couple of bowls of soup and some sauces or add-ons from the pepper bar, too.) Clicking right here will send you to the nearest Quiznos. With 23 years experience as a news journalist, Amy Pollick is a self-confessed music nut. She can be found listening to the Beatles and the Eagles, while spoiling her two cats.